We are one of the youngest universities in the UK but we are already leading the way in adding value to society, which we call social impact. We have won multiple awards for our work in this area, among others, but what matters the most to us is ensuring that our students and graduates have the opportunity to make their mark on the world too. Studying with us will help you create new friendships and contacts. It will help you improve your English and communication skills. Our teaching is outstanding, our resources are excellent and our supportive learning environment will help you to fulfil your potential. We have more than 1,000 international students from over 100 countries studying with us each year. Education has an extensive history in Northampton dating back to the 13th century whilst the University of Northampton has evolved from the beginning of the 20th century. Perhaps you want to study for a degree to kick-start your career or take it to the next level? Maybe you’re passionate about a subject that has grabbed your interest and want to learn every detail you can? Maybe you want to change the world for the better? Our commitment to transforming lives and inspiring change is at the heart of all that we do. All the research that we undertake, and the work that we do to generate new knowledge, is designed to have a social impact, helping improve people’s lives and the environment. Delivering social impact through research is a key part of our strategic plan Transforming Lives + Inspiring Change and is integrated with the Changemaker Challenges. We are working with local partners to deliver these four Challenges as we strive to improve Northamptonshire. The University of Northampton has built on our global reputation as a leader in social innovation to create a unique employability offer that we believe will ensure that our Graduates will stand out from the crowd and become highly employable, digitally literate, global citizens of the future. When you come to study with us, you can choose to live in halls of residence or privately-owned housing. We have a selection of accommodation available on the new Waterside Campus, in the Town Centre, at St George’s Avenue and in the Student Village on Boughton Green Road. We offer single and twin rooms with shared bathrooms or en-suites. All halls are self-catered, with a cleaning service during term time for communal areas. The rooms are all equipped with network access and WiFi, as well as 24-hour security and a dedicated support team. 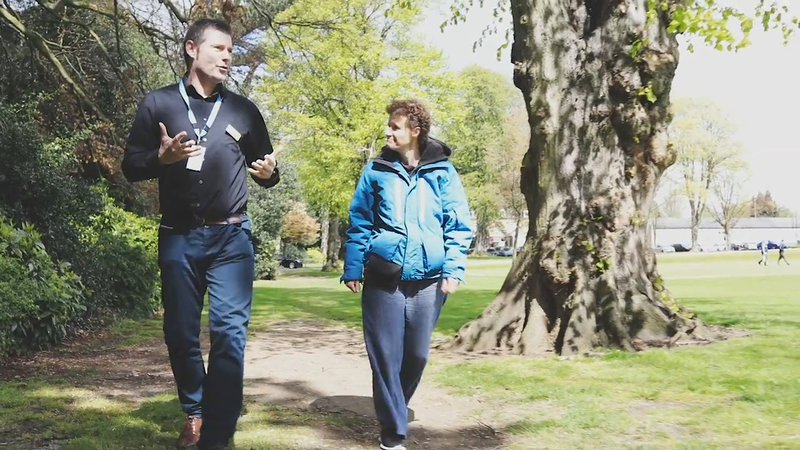 The University’s Travel Plan exists to reduce the impact of our student, staff and visitor travel to our sites and to provide viable and accessible sustainable travel options instead, which results in a reduction of carbon emissions, Nitrogen Oxide (NOx) pollution and congestion. 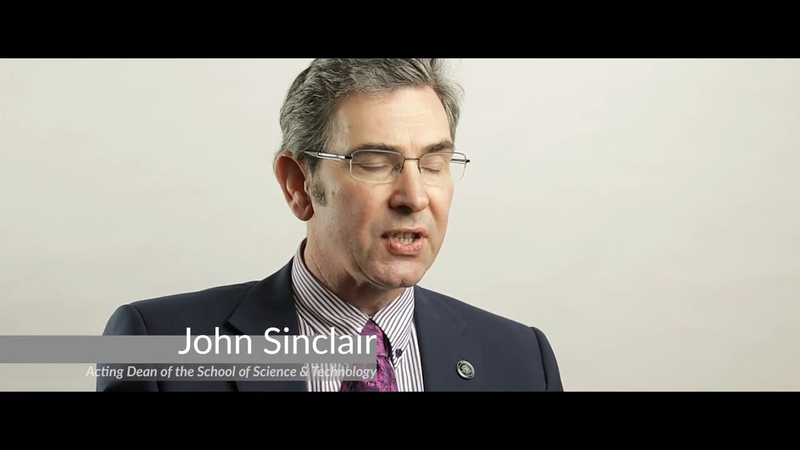 With over 2,000 staff and 10,000 students, travel is a key issue for the University to manage. 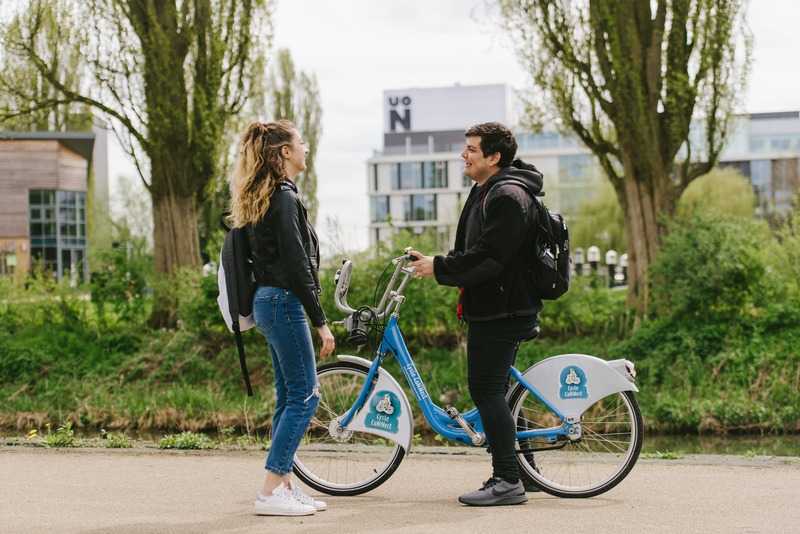 With the move to our new campus, Waterside, the University is working hard to ensure it supports sustainable travel options through its Travel Plan, including: subsidised Uno Buses, free intercampus Uno Bus, a park and ride facility on the edge of town, Cycle CoNNect hire bikes, and excellent cycling and walking routes. Northamptonshire is home to several top sports teams, with regular football, rugby and cricket matches taking place near to the university. Northampton Saints Rugby Club is one of the top premiership clubs in the country. The club has a strong reputation at national and international level and features world class players. The Northampton Saints play at Franklin’s Gardens, a world renowned venue close to Northampton town centre. Northampton Town Football Club play at Sixfields, a purpose built athletics stadium surrounded by leisure amenities including restaurants and a cinema. Your relationship with us doesn’t need to end when you receive your degree. From the day you graduate from the University of Northampton, you automatically become a member of our Alumni Association. The University of Northampton annually recognises individuals who have achieved excellence in their field. Our goals are simple: to provide as much support as we possibly can for you, to keep you in touch with your friends, tutors, teams and societies, and give you tonnes of useful bits to help you along the way!